It was hook, line and sinker — literally — for a man who went out fishing over Thanksgiving. Equipped with only a small rod, Wilmington, North Carolina, resident Riahn Brewington struggled as he tried to pull out a fish from Cape Fear River last week. He caught a catfish, but not just any catfish: a giant catfish that weighed more than 112 pounds. The bloated fish was bigger than the top half of Brewington’s body. Brewington couldn’t believe his eyes, and neither could his friends when the fisherman posted his prized catch on Facebook. “Holy Catfish!! !” one Facebook user exclaimed. “Is this real life? ?” another asked. The North Carolina man assured them that the fish was all too real. It was obvious to many that the fish was a clear candidate for a state record holder, but unfortunately the fish fell a few pounds short. 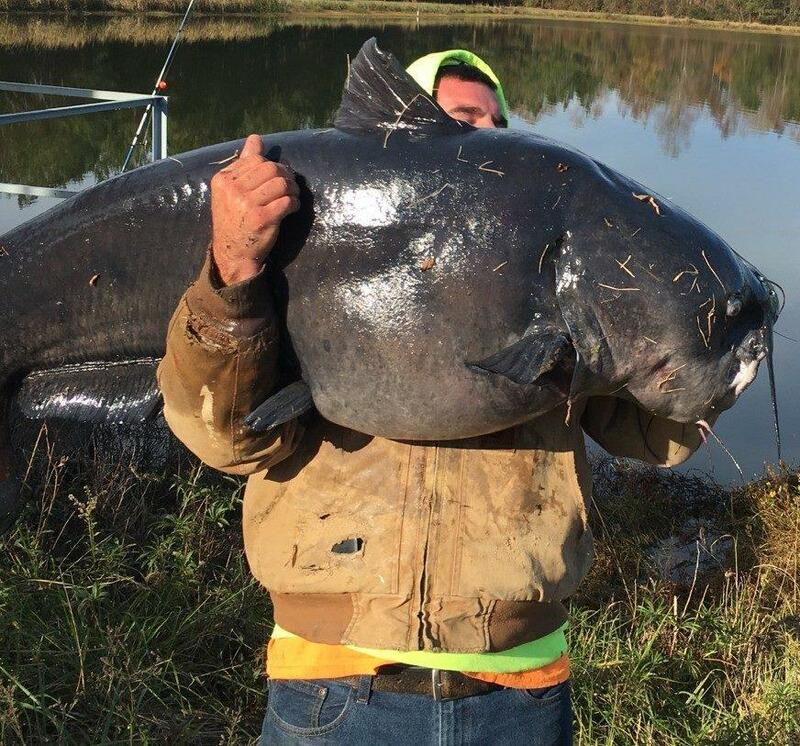 According to the North Carolina Wildlife Resources Commission, the record holder for biggest catfish is a blue catfish, weighing in at 117 pounds, 8 ounces, caught on June 11. But Brewington doesn’t consider the catch a loss. He released the massive creature in hopes of catching a bigger version of him again someday. “This was huge and Riahn Brewington released him to fight again,” said friend and fellow fisherman Dean Hall, who witnessed Brewington’s epic catch in person.